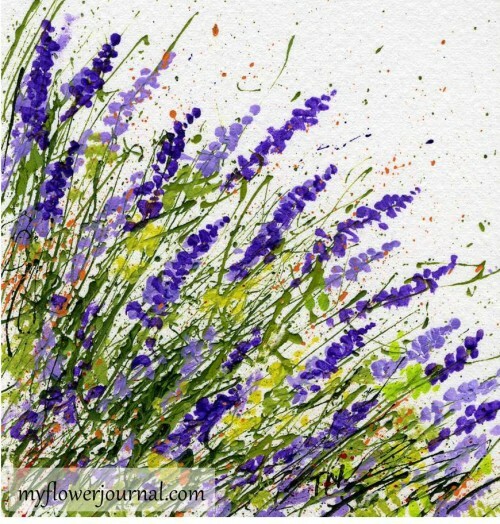 Your splatter painting will take on a whole new look if you turn your paper and try splattering at a different angle. I think this direction looks best when you are working on a square background. I’ve used the same techniques shown in earlier posts. 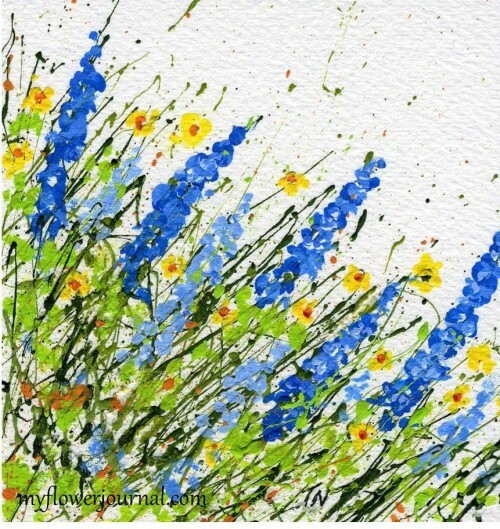 The brush and paints I use and a video showing how I splatter paint can be found here with some FAQ. On this piece.I call Snow Flower, I sprinkled some glitter on before the paint dried. It looks pink in the photo,but I used a clear iridescent glitter. 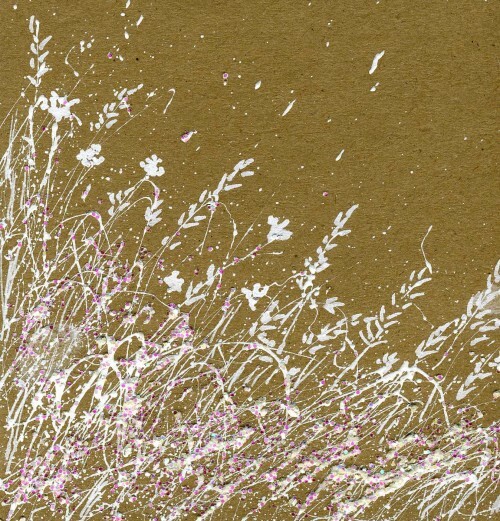 I wanted to give it the look of fresh snow glittering in the sun. Two more ideas are found here and here. 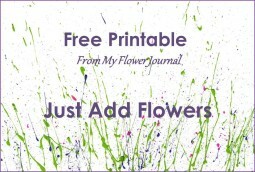 Free Printable to make your own splattered flower art Here. Hi Tammy, beautiful as usual. Oh this is so pretty. I love it! This is my first time visit here — enjoyed it very much. I look forward to exploring more of your blog. Wishing you glimpses of heaven in unexpected places. Happy Painting. 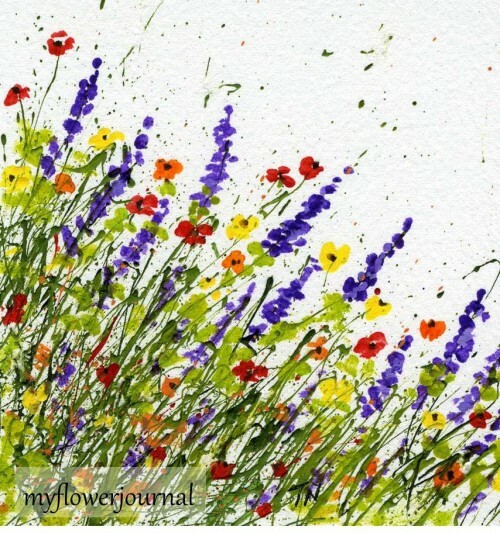 I love your art, I am a flower lover as well! First time over to see you! I love this! I am so glad that I found your site!